Disclaimer: Ving Tsun and Wing Chun are the same thing. The progression of my lineage is as depicted from the image above from top to bottom. Although Philipp is German, Kevin being English and living in America, Wong Shun Leung's Wing Chun is purely Hong Kong Wing Chun, thus, we are a continuation of Ip Man's lineage. The following is quoted from the "about" section of the Ving Tsun USA website. "Kevin Gledhill was introduced to Philipp Bayer by his SiHing Desmond Spencer in 2004. Philipp Bayer was invited to give a 5 day seminar in NYC. It was at this meeting that a unique and incredibly efficient approach was presented to Kevin Gledhill which had a tremendous impact on his understanding of Ving Tsun. Philipp Bayer's high level of awesome skills and clear unambiguous execution of VT fighting illuminated the path that he needed to take in order to further develop himself and guide his student's development. Kevin Gledhill has subscribed to Philipp Bayer's mentorship ever since, traveling to Germany and other European locations to train personally with Philipp Bayer and attend seminars. Kevin Gledhill is the Head Instructor at WSLPBVT USA and is available for group and private lessons and has given seminars for federal law enforcement agencies." Philipp Bayer is the founder and leader of Ving Tsun Kung Fu Association Europe, the official branch of Wong Shun Leung Ving Tsun on the European Continent and has schools underneath him that span a total of 16 countries (with the United States being one of them). Philipp and is globally renowned for his excellence in Ving Tsun Kung Fu and is the highest level practitioner there is. The late Grandmaster, Wong Shun Leung (1935-1997), was the champion student of Ip Man. Known across all of Hong Kong as Wing Chun's challenge champion, he earned a nickname from the press: 講手王 (Gong Sau Wong), which translates to "King of Talking Hands", meaning his hands did all the talking for him and that he was no bluff. Wong Shun Leung gained fame through the many illegal rooftop fights that occurred between different disciplines of Martial Arts back in the mid-1900s of Hong Kong where he was known to be undefeated and ending fights within seconds of them beginning. His victory count has been confirmed to be at least 60 wins and is projected to possibly being over 100 wins. Although Ip Man is the official teacher of the late Bruce Lee, Wong Shun Leung was also accredited for the actual teaching and instruction of the late martial arts icon. Bruce Lee has flown Wong Shun Leung to America and has also acknowledged Wong Shun Leung in many occasions, a letter crediting him with his teachings of martial arts signed by Bruce himself still exists to this day. Wong Shun Leung may have trained the famous Bruce Lee, but he himself made Wing Chun famous through his endeavors and fights. He took the most logical and scientific approach to Wing Chun possible and he was never afraid to question and test the system. 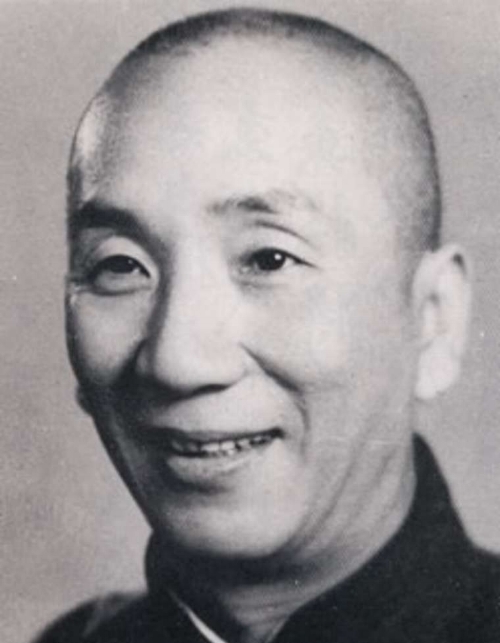 The late Yip Man was the very master that has been accredited for the instruction of Bruce Lee. Yip Man was the first to bring Wing Chun Kung Fu from its maiden land of Foshan, China to Hong Kong. There, Yip Man would go on to teach Wing Chun for the remainder of his life. Having taught very high profile individuals such as, Wong Shun Leung and Bruce Lee, Wing Chun had gained global recognition. Numerous documentaries and feature films have been made in honor of the late Yip Man. that Wing Chun was named after a woman named Yim Wing Chun (嚴詠春), the first official practitioner of the system at its origins 200-300 years ago and that the system was created by a Buddhist Priestess named Ng Mui (五枚). The story goes, Yim Wing Chun was to be forced into a marriage with a warlord, but she decided to make a bet with him; if she could beat the warlord in a fight, she would can keep her freedom. Ng Mui caught wind of the situation and then decided to teach her a new system that she had created. Yim successfully won the fight, kept her freedom, and lived to spread the system. This legend is told by the late Yip Man himself. Whether or not this account is historically accurate is unknown. The earliest documented mentions of Wing Chun as a system date back to the late 1800s. The King of Wing Chun (詠春拳王) from being undefeated for over 300 challenge fights from all sorts of different styles. creation of the standard forms and learning methods to create consistency in the system. He had several students throughout his life, among them were his sons. One of his sons would go on to directly teach a young Yip Man in Hong Kong by chance, his name was Leung Bik (梁壁).